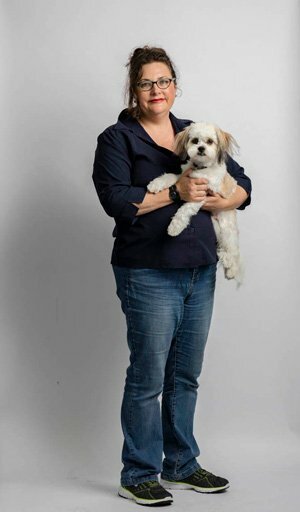 When Murwillumbah Vet Clinic won the AVA/Hills award for mixed practice of excellence in 2015, co-owner Dr Joan Gibbons gave an acceptance speech that covered the journey from a run-down clinic into a vibrant practice in northern New South Wales. Her business partner Dr Stephanie Wright, however, was undertaking a different journey at that time—a 500km solo walk in Italy. “The alternative could have easily been me in a psych ward and our practice in disarray,” explains Dr Wright, who has had to deal with tragedy, serious illnesses and resultant depression for many years. After opening the Murwillumbah practice with Dr Gibbons in 2003, Dr Wright experienced years of highs and lows—and now is happy to share her story. Her goal is to give hope to other veterinarians who are dealing with mental and physical health issues. 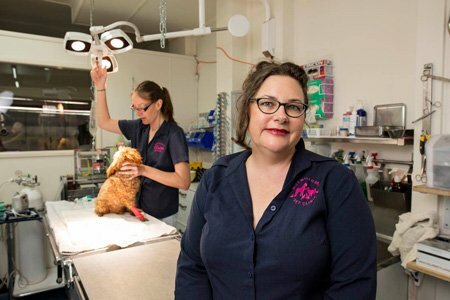 A study in the Australian Veterinary Journal showed that a veterinarian is four times more likely to take his or her life compared to the general adult population. Dr Wright admits that she could have been one of these statistics. 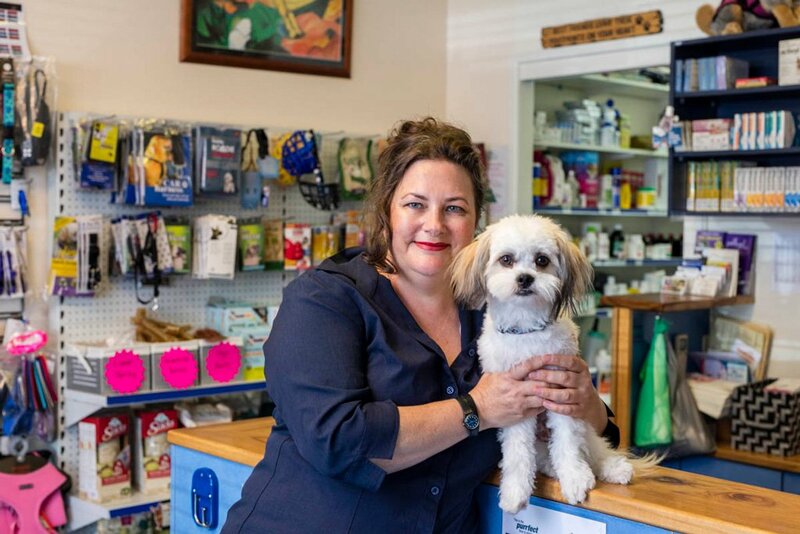 When the two veterinarians bought Murwillumbah Vet Clinic, Dr Wright had a nine-year-old son, Sean, by her first marriage. “The first year at the clinic was a struggle but things were starting to take shape,” she recalls. The Edinburgh-born vet who moved to Australia in 1992 had also embarked on trying for a child with her current husband, Tony. During this time, Dr Wright was seeing a counsellor who recognised she had post-traumatic stress disorder (PTSD) and recommended cognitive therapy. Despite her pain, a strong desire to have a second child had remained. It was just after her 40th birthday when the veterinarian fell pregnant. After a problematic pregnancy which required hospitalisation, Gabriella (who’s now nine years old) was born four weeks premature by caesarean. Dr Wright only took 16 weeks off as the practice was busy. Unfortunately, a chronic back injury reoccurred, and was so severe, it was hard for her to dress without pain. As Dr Wright started talking to Dr Gibbons about taking six months off to recover, another catastrophe hit—the occurrence that all vets dread. The death of an animal under anaesthetic wasn’t Dr Wright’s fault, but the owners were looking for someone to blame. “They threatened to sue, they left vile voice messages and emails which mentioned my daughter,” she says. Apart from managing this sensitive issue, Dr Wright also had to deal with a severe flood early that year, which culminated in having PTSD again. On 3 March 2015—the day after the practice was informed they had won the excellence award—Dr Wright stopped working. For many veterinarians, it would be a chance to kick back and slowly recover. That wasn’t the case for Dr Wright. Her plan of attack, encouraged by her psychologist, was to undertake a three-month odyssey in Italy. This included a four-week solitary trek from Lucca in Tuscany to the Vatican in Rome, taking some of Sean’s ashes with her. She also rediscovered her family roots near Cassino. This was followed by time with her husband and daughter. Dr Wright returned home from her journey two years ago. Shortly after this, another health issue struck. She discovered that she had psoriatic arthritis, an autoimmune disease. The veterinarian had restricted movement and severe swelling in all her tendons that affected her veterinary skills. Despite her physical and mental health issues, she’s determined that she’s “not at the point of no return” when it comes to her career. “If my latest drug works, I might be able to go back working part time,” says the practitioner, who completed her veterinary degree at University of Glasgow in 1990. “When it comes to mental health, so many colleagues leave it too late and lose their practices, their marriages, their physical health and worse. Joan and I have always talked about mental health—together and with our team. It’s integral to our practice culture, so there is no stigma involved for me or any other practice member who’s struggling. We ask each other how we’re doing. That’s part of our normal routine. There is a lot of support all round, particularly on the bad days,” says Dr Wright. Healthy food and exercise also come into play when it comes to the practice’s wellbeing. Dr Gibbons encourages the staff to exercise, making sure the roster is flexible so there is a good work-life balance. Since staff members may not have time to have a proper breakfast—as they’re doing school drop-offs and other necessities—the clinic provides a platter of cheeses, crackers, dips, fruit, cucumber and tomato for morning tea every morning. The study in the Australian Veterinary Journal noted that common causes of stress for vets include working long hours and dealing with difficult clients. Dr Wright also notes another common issue that causes stress for many vets and nurses. “I think one thing that really stresses vets is trying to get customers to part with their money for the good of their animal. There’s also an increasing expectation among people that you have to do everything right and if not, they’re going to sue you or complain,” says the veterinarian, who notes that the practice is a member of the Veterinary Defence Association. Dr Wright suggests that veterinary schools at universities should give undergraduates more guidance on the various stresses they will have to deal with in this profession. “If you’ve not got a robust personality to start with, it’s very hard to cope with this job. I think mental health needs to be talked about especially at an undergraduate level. 13 11 14 or Beyond Blue 1300 22 46 36. If you’re an AVA member, you can call its Telephone Counselling Service at any time on 1800 337 068.